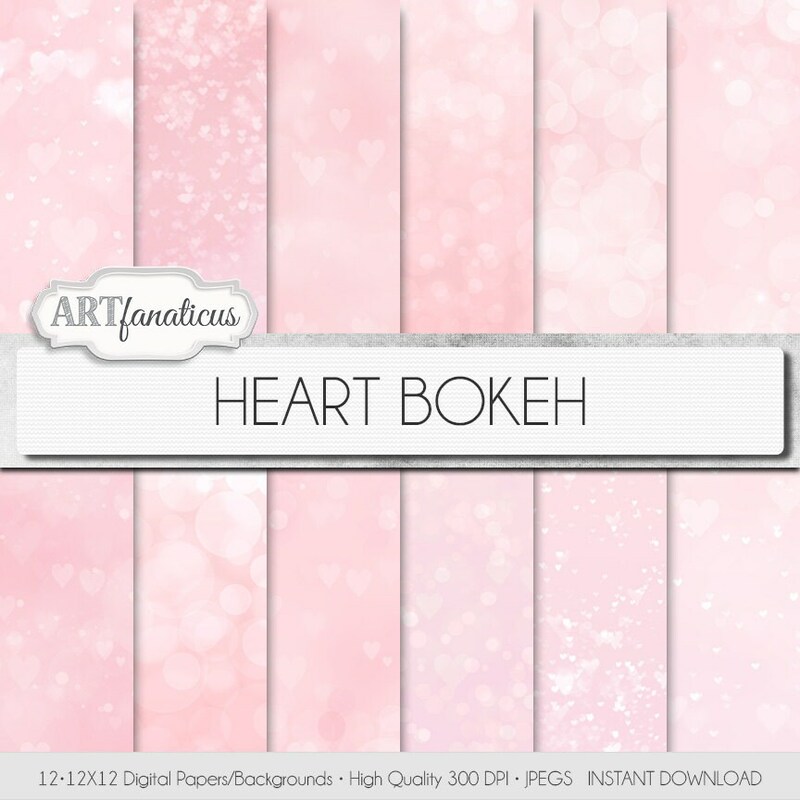 12 bokeh digital papers on soft pink backgrounds featuring heart-shaped bokeh affects and regular bokeh affects. All digital papers are high resolution at 300 DPI which makes them perfect for printing. 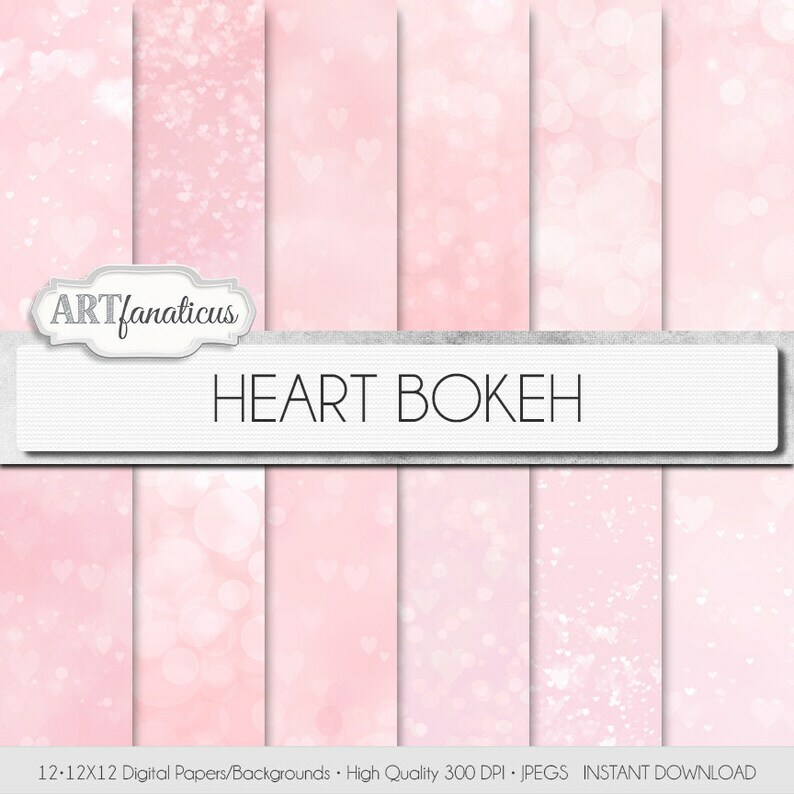 Our backgrounds, textures, digital paper and clip art can be used for just about any project. Add some additional artistic style to your photo albums, books, photography project, photographs, scrap booking, weddings, invitations, greeting cards, wrapping paper, labels, stickers, tags, stationary, signs, business cards, websites, blogs, parties, events, jewelry, home décor, fabric clothing and much more! If you selling your items made with our art/products and they will exceed 50 in printed or sale items then you must purchase an Extended/Commercial License for each item you will be using. As promised. Great for scrapbooks and card making.